Oil filters play a vital role in the operation of oil-fired central heating systems, as they minimize the dirt and water that can enter into the boiler fuel system. Without an oil filter, dirt and oil will eventually damage the pump and block the burner fuel nozzle, causing the boiler to ‘lock-out’. Therefore, oil filters should be changed or cleaned at the start of the heating season and about midway through the season. This not only maximizes the efficiency of your furnace but its longevity as well. Even though the boiler oil for your furnace has been well filtered and cleaned during its processing from crude oil, filters are still required (especially if the oil is being supplied from a steel storage tank). 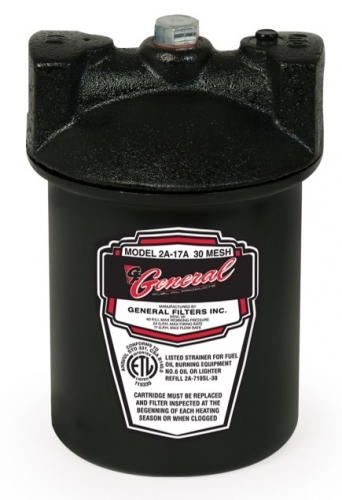 Oil filters play a vital role in the operation of oil-fired central heating systems, as they minimize the dirt and water that can enter into the boiler fuel system. Without an oil filter, dirt and oil will eventually damage the pump and block the burner fuel nozzle, causing the boiler to ‘lock-out’. Therefore, oil filters should be changed or cleaned at the start of the heating season and about midway through the season. This not only maximizes the efficiency of your furnace but its longevity as well. 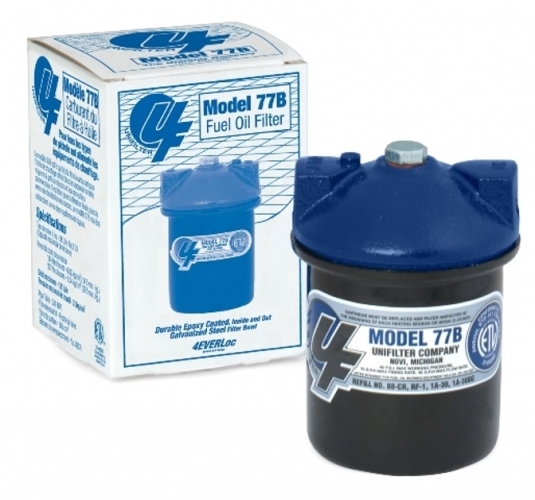 Unifilter® is a highly dependable fuel oil filter that rivals any generic brand in the market today. You can count on your home’s oil furnace to run smoothly with Unifilter® filtration. 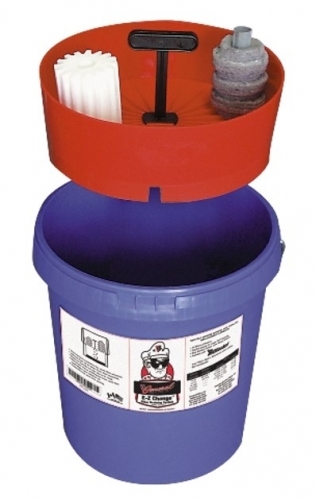 Our easy-change bucket is a must when changing the oil filter, as it offers a complete and safe filter draining system. See our other oil filtration accessories, such as our leak containment and alarms, and filter restrictor indicator..
Epoxy coated inside and out, the General Brand multi-purpose oil filters can not only be used in your home's central oil-burning furnace system, but they may also be used as a line-type filter for: * Hydraulic and lubricating oils * Farm spraying equipment * Other filtration applications. 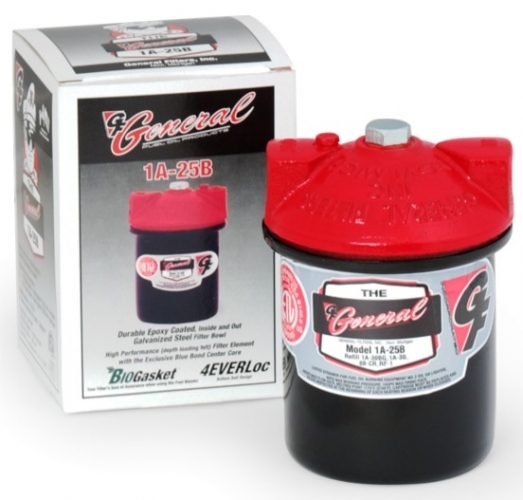 The use of any parts that are not genuine General Filters replacement bowls, oil cartridges, or gaskets voids any and all warranties implied or otherwise extended by General Filters, Inc. and could increase the risk of failure or leakage.